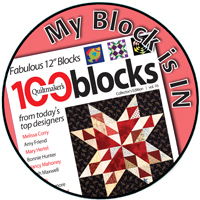 I completed my February One Monthly Goal of piecing 9 Outlined Plus blocks, but I am glad to get an extra day due to leap year to show them to you. 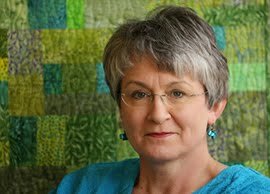 If you have not seen the Outlined Plus pattern by Cheryl Brickey of Meadow Mist Designs, look at her adorable mini made from Cotton + Steel fabrics. 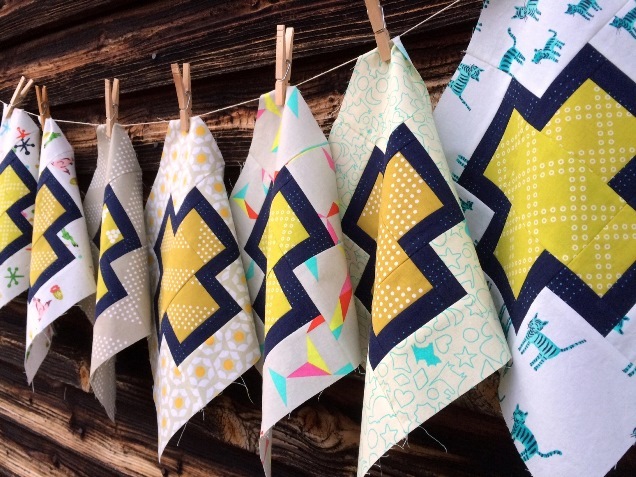 I am also using all Cotton + Steel fabrics for my blocks. 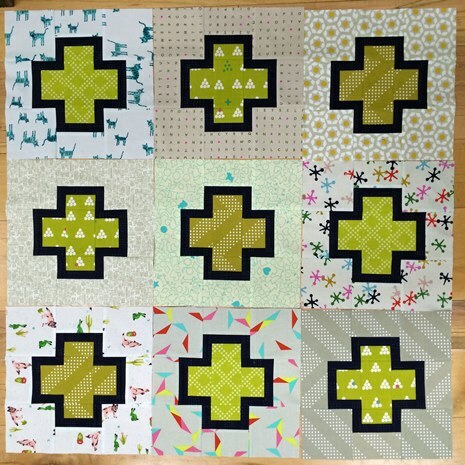 The backgrounds of all my blocks are from a Cotton + Steel Stash Box which I showed previously in Sunday Stash #4 plus a few others added in for good measure. 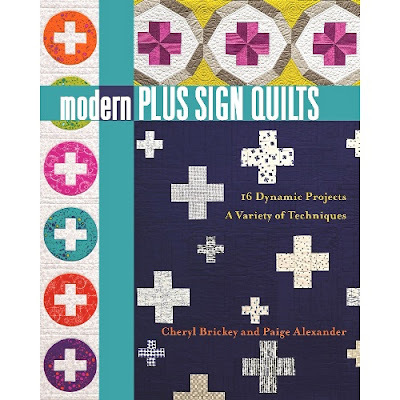 I am outlining all my plus signs with a dark navy, Ghost Saltines, from the Cookie Book collection by Kimberly Kight. The plus signs are 3 different limes/greens. Two of the prints are from the Mochi collection by Rashida Coleman-Hale in lime, Mochi and Dottie's Cousin. The other is from the Basics, Dottie in Goldilocks. 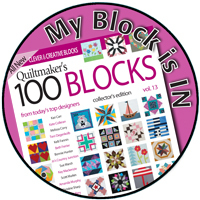 I have not yet decided how many more blocks to make. My design wall was occupied, so here are the 9 completed blocks on the floor. You can see more of the detail here. And here, where the plus sign was fussy cut from Mochi in lime. And one final picture with the blocks clothespinned to a line hanging on the barn. And you would be right if you count only 8 blocks instead of 9 here. Somehow I left one behind when I took the picture. I am very happy to have met my One Monthly Goal for February 2016. 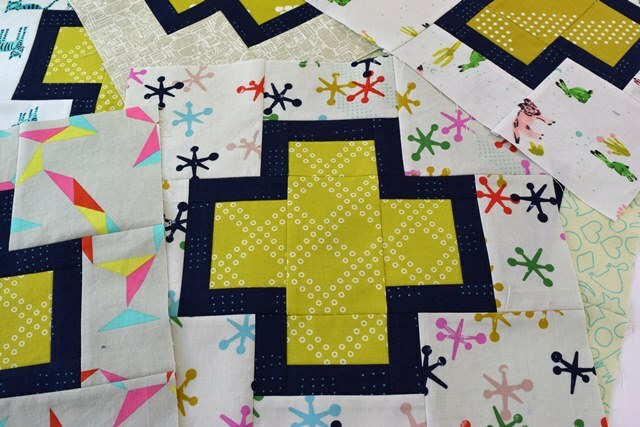 Head on over to see the other goals met at Red Letter Quilts. Thanks Heidi for a great link party. Love the colours you have used! Cute picture of the blocks on the line! This is going to be a very striking quilt. Congratulations on meeting your goal once again. Great blocks and such a cool picture! Where did you take it? What great blocks! The outlining really adds some oomph to them! Paige, these blocks are stunning. The more I see them, the more I'm thinking I need this pattern. I love how you used the clothesline and barn for staging the blocks. That first photo is the ultimate eye candy, and I'm loving your color/fabric selection. I really like that block! I'm going to put it on my list to ty! oh Paige! Im really crushing on your use of that shade of green (in may projects). Its a delightful color. Your photo skills are out of this world too! Looking forward to seeing this at the guild meeting! Well Done on meeting your goal Paige. 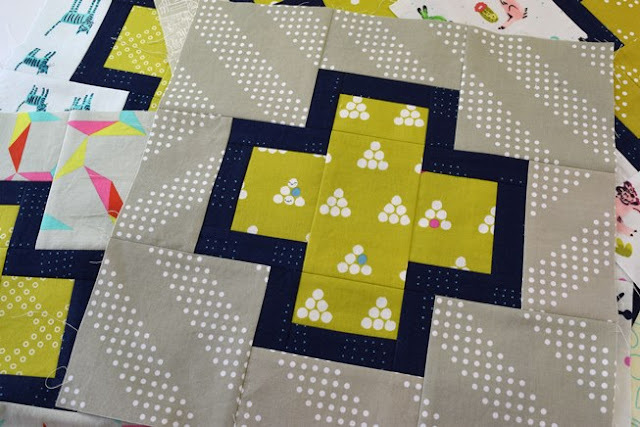 I love these blocks-what a great pattern and the fabrics you used are great. Like others that photo with the blocks on the line is superb-hope the lonely block doesn't feel too left out!! The centers of your plus blocks are the perfect color! The pic of them hanging on the line is such a perfect picture. 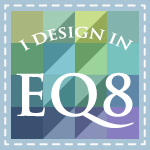 I agree that the outlined plus pattern looks so good. Great job! Thanks so much for sharing on MCM. Beautiful Paige, and such fun photography too! Love the photos of the blocks on a line, Paige! Looks fabulous!! Your Outlined Plus blocks are gorgeous, Paige. I love your fabric choices. Especially the navy for the outline. Really makes those pretty pieces pop! And the photos are great! 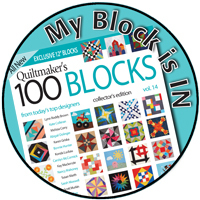 Your blocks are gorgeous! The outline really is a nice touch. Its going to be amazing when its finished!! Love how you have them hanging on the barn..great shot! These are just lovely. 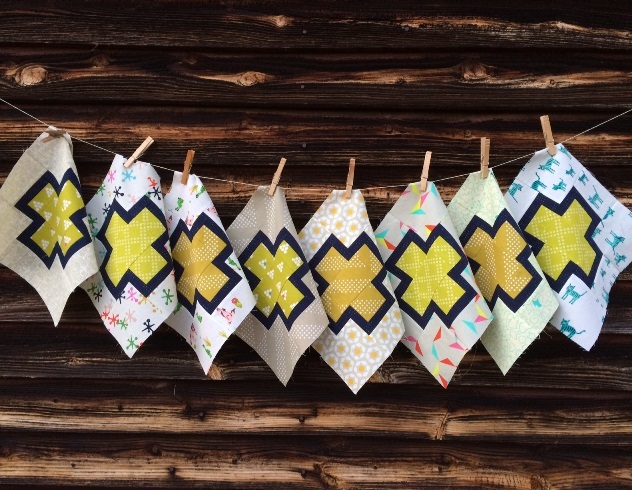 I saw this block over on Cheryl's blog and really now think I need a project featuring it!! 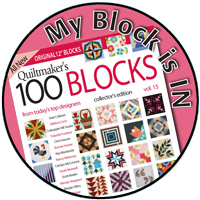 I love your blocks and I love plus quilts so it's no surprise to me that I love the outlined plus! These are lovely! Great color combo!